Make Your History Studies Come Alive With Historical Fiction! We chose these books because they are well-written and are used with other homeschool curricula such as unit studies and history guides. They are listed by time period. The author weaves a story based on Bible fact from creation to Abram. Great read aloud for the family. There is nothing new under the sun and the similarities of the time before the flood to the present time are very interesting. Adam and His Kin is a must read if you are starting your history studies in creation! Learn about the life and work of the Greek mathematician in Archimedes and the Door of Science. Augustus Caesar’s World is a slice of history measured by the lifetime of Augustus Caesar. Readers will learn the major events and figures of Egyptian, Hebrew, Greek, and Roman history; and also the cultures of ancient China, India, and Persia. Told as a story, it will delight readers young and old. Wonderful timelines, charts, and illustrations enhance the text. Please note: Foster looks at the major world religions, including Christianity, from a historical perspective, not necessarily as one of faith. 334 pages, Trade PB, Intermediate/High School. Here are gods, goddesses, and legendary figures of ancient Greece brought to life in the myths that have inspired great literature and art throughout the ages. D’Aulaire’s Book of Greek Myths has beautiful color illustrations throughout the book. Some of the writings of Herodotus are made simpler for children. A Newbery Medal Book, The Bronze Bow takes place in Galilee in the time of Jesus. It tells of a young Jewish rebel who is won over to the gentle teachings of Jesus. The Bronze Bow is one of the book studies in Learning Language Arts Through Literature Tan Book. Taking place around 1250 B.C., the Cat of Bubastes is a tale of ancient Egypt. The hero’s travels take him to Africa and Egypt. It is one of the book study books in Notgrass Exploring World History. One of the Landmark books! The Pharaohs of Ancient Egypt is one of the books studied in the Greenleaf Guide to Ancient Egypt. A touching story of a young Roman boy, Flavius and his developing compassion for his captured Greek slave Ariphron. Unwrapping the Pharoahs: How Egyptian Archaeology confirms the Biblical Timeline. “Go back in time as famous Egyptians such as the boy-king Tutankhamen, the female pharaoh Hatshepsut, and the beautiful Cleopatra are brought to life. Learn who the pharaoh of the Exodus was and where his pyramid is in the captivating now look at Egyptian history. White Isle is the story of the exile of a patrician Claudian family in the White Isle. Life in Britain is an adventure for Lavinia, the daughter. 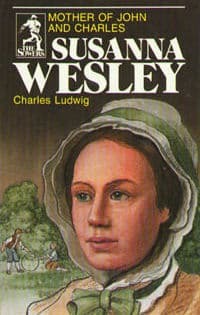 Read along as Lavinia travels from Rome through Gaul to Britain where she learns about Christianity. Follow the adventures of Adam of the Road as he travels in thirteenth-century England searching for his missing father. The World of Columbus and Sons tells the story of the world of the Renaissance and the Reformation. Columbus, Prince Henry the Navigator, Ivan III, Gutenberg, Queen Isabella, Leonardo da Vinci, Mohammed II, Nomi Mansa, Martin Luther, Vasco de Gama, Copernicus, Michelangelo, and many others all come to life. The author, a three-time Newbery Honor Award winner, presents the events of this critical period as a series of miniature dramas with an emphasis on the interaction of events and people. 406 pages, Trade PB, Intermediate/High School. The Cross of Lead is the story of young Crispin, who takes an amazing journey across the English countryside in medieval England. Fine Print is about Johan Gutenberg, the man who invented movable type and the printing press. Great novelist Mark Twain spent time in France researching the life of Joan of Arc. This book is one of his greatest works. King Arthur and His Knights of the Round Table retells the Arthurian tales. Set in 13th century China, The Kite Rider is the story of young Haoyou, who becomes a kite rider earning money, freedom, and fame. This paperback book has 186 pages. Queen Eleanor tells the story of Eleanor of Aquitaine. The Adventures of Robin Hood is the classic tale of the hero who steals from the rich and gives to the poor. The heroic adventures of Wallace as he fights to return the throne of Scotland and restore peace to his homeland will enthrall a new generation of readers. Advanced, 504 pages, Trade Paperback. Taking place in 15th century Poland, the Trumpeter of Krakow is a tale of a young patriot and a mysterious jewel of great value. With twelve stories that span the Middle Ages from the withdrawal of the Roman legions from Britain to the fall of Venice as Queen of the Sea, Twelve Bright Trumpets is an excellent tool to teach the general timeline of the Middle Ages to children from ages 10-13. Around the World in a Hundred Years has 10 true tales of 15th-century explorers. It brings history to life, with accounts of the exploits of Christopher Columbus, Bartholomew Diaz, Ponce de Leon, and others. Edward became king when he was nine. During his brief reign, the foundations for the Protestant Reformation in England were laid. His tutors called him “The British Josiah” because his life and work closely paralleled that of Josiah, King of Judah. This book includes a copy of Edward’s treatise on the “Primacy of the Pope,” not in print for over 300 years. Ink on His Fingers is a story about Johann Gutenberg. This version is the inexpensive Dover Thrift Edition of The Pilgrim’s Progress. It is the unabridged version in a very economical format. The World of Columbus and Sons tells the story of the world of the Renaissance and the Reformation. Columbus, Prince Henry the Navigator, Ivan III, Gutenburg, Queen Isabella, Leonardo da Vinci, Mohammed II, Nomi Mansa, Martin Luther, Vasco de Gama, Copernicus, Michelangelo, and many others all come to life. The author, a three-time Newbery Honor Award winner, presents the events of this critical period as a series of miniature dramas with an emphasis on the interaction of events and people. Trade PB, 406 pages, Intermediate/High School. If your children are asking why we celebrate the 4th of July, this book tells the story. Newly reprinted by Bradford Press, Noah Webster is one of those books that you want in your family library. Originally published in 1942, it is well written and enduring. Poor Richard is a superb biography of the printer, statesman, author, reformer, inventor, and ambassador, It reveals a Benjamin Franklin, who in his time, lived more lives than many men together. The brilliance and inexhaustible ingenuity of mind that fascinated his contemporaries continues to charm us now in Daugherty’s work of perhaps America’s most distinguished citizen and interesting human being. 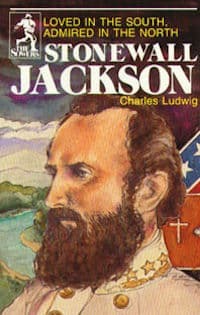 As with all of James Daugherty books, his illustrations of two- and three-color compliment the meaty text of Poor Richard. This paperback book has 175 pages. Taking place in the early days of the Massachusetts Colony, The Scarlet Letter is an enduring classic of American literature. The Scarlet Letter is one of the books in the literature portion of Notgrass Exploring America history course. This book is a republication of Abraham Lincoln, initially published in 1943 and dedicated to his son, an American soldier. This paperback book has 216 pages. Sam Watkins tells the story of his life as a soldier in the Civil War in Co. Aytch. He joined the First Tennessee Regiment, Company H, to fight for the Confederacy. Of the 120 original recruits in his company, Watkins was one of only seven to survive every one of its battles, from Shiloh to Nashville. Col Aytch is one of the books in the literature portion of Notgrass Exploring America history course. 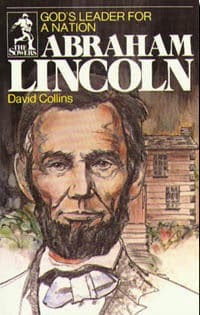 Lincoln: A Photobiography is one of the book study books in Units 5-6 of Uncle Sam and You Civics Course. This Newbery Medal Book tells the story of Abraham Lincoln with photographs and prints of his day. Learn about the life of a former slave, abolitionist, writer, editor, and orator whose speeches fired the abolitionist cause. In Narrative of the Life of Frederick Douglass, you will read of his life as a slave, his dramatic escape to the North and his eventual freedom. The Narrative of the Life of Frederick Douglass is one of the book study books in the Notgrass Exploring America history course. In the form of a novel, author Harriet Beecher Stowe wrote about slavery and the effects on its participants. Originally published in 1852, Uncle Tom’s Cabin brought awareness of the evil of slavery to the forefront of the thinking of the day. 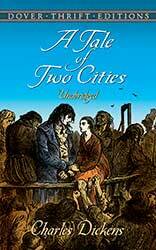 Uncle Tom’s Cabin is one of the book study books in the literature portion of Notgrass Exploring America history course. The autobiography of Booker T. Washington, Up From Slavery, is one of the books in the literature portion of Notgrass Exploring America history course. The Cabin Faced West is used in weeks 10 and 11. “Part history, part science–and adventure through and through–The Captain’s Dog is the carefully researched, thrilling tale of America’s greatest journey of discovery.” This is a story of the dog who accompanied Meriwether Lewis on his famous trip through the Louisiana Purchase. Used in the literature/book study section of the Trail Guide to U.S. Geography. The Long Winter is one of the book study books is used in Units 22-24 of the Uncle Sam and You Civics Course. 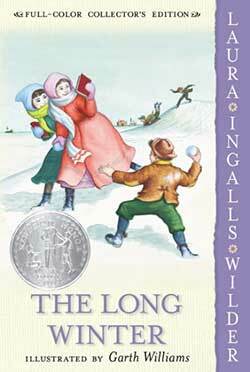 We like this particular edition of The Long Winter because it has full-color illustrations by Garth Williams. It is a better quality paperback and well worth the extra two dollars. This paperback book has 169 pages. 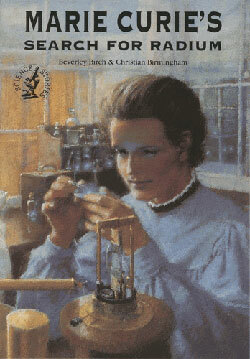 Read about one year in the lives of a fictional pioneer family in 1840. In this book, you will also learn how the United States Navy grew strong enough to beat the British in the War of 1812. Read about the life of David Livingstone in this book. It takes place in Africa. A true story of a man who helped save millions of lives, Pasteur’s Fight Against Microbes tells how he did it. Transportation, communication, and technology in the early 19th century are the subjects of The Year of the Horseless Carriage. Genevieve Foster brings it all together with her wonderful around the worldview of history. Basher Five-Two is one of the book study books for Units 16-17 of the Uncle Sam and You Civics Course. Basher-Five-Two is the actual survival tale of an American Air Force Pilot who was shot down over Bosnia during a peacekeeping mission. Hey, Mac! is a combat infantryman’s story of his World war II experiences–mainly in “A” Company, 394th Infantry Regiment, 99th Infantry Division. The Hiding Place tells the remarkable story of Corrie Ten Boom and her family who, at risk of their lives, followed the mandate of their Christian understanding by providing refuge to Jews marked for death by Nazi forces occupying the Netherlands during World War II. 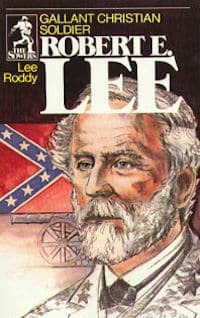 It is one of the books in the literature portion of Notgrass Exploring America history course. Land of the Morning is a lovely remembrance of the time when the author lived in the Philippines at a rural mission station in the 1930s. After Pearl Harbor, her family fled but were eventually captured and moved into a prison camp. 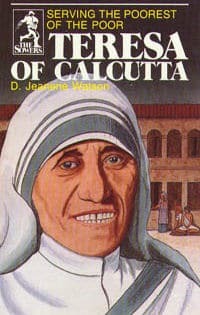 It is a beautiful story of God’s care and a testimony to the faith of the author and her family. A Letter to Mrs. Roosevelt by C. Coco De Young is one of the book study books for Units 10-11 of the Uncle Sam and You Civics Course. Lost on a Mountain in Maine is used in Units 29-30 of the Notgrass Uncle Sam and You Civics Course. Post-WWII country life in Pennsylvania. To Kill a Mockingbird “portrays the story of racial inequality through the eyes of a child. 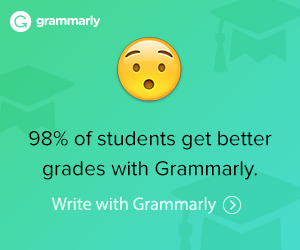 Contains mature themes. A biography of the two brothers from Dayton, Ohio, who built and flew the first airplane. 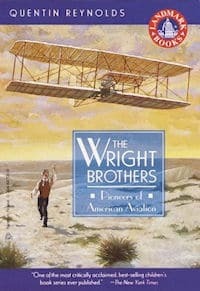 The Wright Brothers: How They Invented the Airplane is one of the book study books foris used in Units 25-26 of the Uncle Sam and You Civics Course.